All photos by Sofie Lindberg, courtesy of the Museum of Failure. The Museum of Failure isn’t on any list of the Top Things to do in Sweden—at least not yet. The new museum, which opened last week in Helsingborg, a city of 130,000 people on Sweden’s southern coast, has already attracted worldwide media attention and is drawing visitors from around the globe. In fact, Chinese tourists have been arriving by the busload “to look at the Donald Trump board game,” notes curator Samuel West, a former clinical psychologist who has more than 70 different failed products and objects on display in the 450-square-meter space. The underlying message of the museum—that we can all learn from failure, that even the largest multinational companies fail spectacularly, and that business executives have the most to gain from an appreciation of failure—is worth considering. In fact, the museum’s essence recalls the work of the late Robert McMath, who spent decades building a collection of tens of thousands of failed consumer products, housed in his Ithaca, New York-based New Products Showcase and Learning Center, which I had the opportunity to visit in 2000. McMath would go on to write several columns for Failure, including one about Breakfast Mates, which explains how Kellogg’s went wrong when it tried to sell cereal and milk—a winning combination, if there ever was one—together. In the following Failure Interview, West explains how he got the inspiration for the Museum of Failure, why his initial attempt to purchase the domain name went awry, and what he would like visitors to take away from a trip to the museum. Or see the Museum of Failure in photos. How did you get the inspiration for the Museum of Failure? For most of the past ten years I have been working as a consultant for companies, helping them develop and maintain environments that facilitate organizational creativity and innovation. For the past two or three years I have been looking for a new way to communicate [lessons surrounding innovation] because [lessons] usually come in the form of books or seminars or workshops and those are boring. Last year I was on vacation in Zagreb in Croatia and I visited the Museum of Broken Relationships and had this eureka moment where I realized I needed to open a real museum with real products and stories. I hear that when you registered the domain name for the Museum of Failure you misspelled it. Is that true? Yeah, alcohol is partially to blame. I got so excited in Zagreb that I went to the nearest bar and had a couple beers and I bought the domain name using my phone. I was surprised that museumoffailure.com wasn’t already taken; turns out it was taken, I just didn’t spell museum right—I had switched the “e” and the “u.” That could happen to anybody after a few beers, right? Now I’m thinking about making a Web site for that domain and printing T-shirts with the misspelled domain on it. It’s where I live. Honestly it would make more business sense to have the museum in Copenhagen, which is a major tourist destination and where I’d probably make a lot more money. I’m probably never going to break even here in Helsingborg. But I can’t be bothered commuting. It may change in the future when I go bankrupt, but until then…. The local tourism bureau has branded Helsingborg as the “nicest” and “friendliest city in Sweden.” Does it live up to its name? It sounds like the municipality has got a copywriter on there [laughs]. It’s beautiful and one of the more economically well-off regions of Sweden, and it has something to offer as a quaint, mid-sized Swedish city. Right now the major industry is information technology, and its close proximity to Copenhagen makes it attractive to multinationals that want to offer their employees a nice place to live that isn’t in the middle of nowhere. How have the earliest visitors to the Museum of Failure reacted to what they have seen? But so far people are leaving with a big smile and they love it. The other day there was a family with two 13-year-old girls and I asked the family for feedback. The two girls were more enthusiastic than their parents. For me that was validation; there’s nothing here for kids but if it works for teenagers—who are critical of everything and demand fast, easy entertainment—that makes me happy. How are the displays organized? My partner is a graphic/interior designer and at first I had objects grouped according to theme but he said it looked stupid and that it was boring. Now it’s chaotic but the products are placed to make them look as good as possible. That has had an interesting advantage because you stumble upon new things that you might not have looked at otherwise. So now you have the Olestra diarrhea-causing [Pringles fat free] chips right next to the Google Glass. How did you acquire the products in the Museum of Failure? Twenty to thirty percent were donated by individuals. Some have been borrowed because they are too expensive. The rest were bought on Craigslist or eBay or Amazon. Interestingly, none of the companies that I contacted early on wanted to cooperate. I approached quite a few innovation directors—my clients, or former clients—and asked them for examples of failure that they’ve learned from. I explained that this is serious and we are not having a laugh at them; it’s done with full respect. I thought it would be easy to get them to collaborate but nobody wants to be associated with the Museum of Failure. None of them—zero—choose to cooperate. Most of the brand managers didn’t even reply to my emails or LinkedIn requests. I do understand that it’s sensitive but I was naïve to think that with the focus of the museum being to learn from mistakes, that they would cooperate. Failure is kind of cool now, and failure isn’t as stigmatized as it used to be—or so I thought. I was wrong. What are your favorite products on display at the museum? I really hate that question because I like all of them. There are some sensational ones like the [Rejuvenique] Electric Facial Mask and the plastic bicycle that are visually spectacular. The ones I like best might not be visually spectacular but the stories are fascinating, like those of Blockbuster and Kodak. With success, the narrative is similar every single time, but products fail in all different ways. That’s what I think is so interesting about it. There are so many ways to fail. Tell me about Itera’s plastic bicycle. In the 1970s, Volvo, the Swedish car manufacturer, started developing a plastic car for [oil-rich] Norway. The project was a failure and they killed it, but several of the engineers from Volvo continued the work and developed a plastic bicycle. They built up a lot of hype around this plastic bicycle—it was lightweight, it wouldn’t rust, and it was supposed to revolutionize the bicycle industry. But when it was launched it was twice as expensive as a regular bike, and the biggest problem was that the frame wasn’t stable enough, so it wobbled when you rode it. It became a fiasco—and one of the national failures of Sweden. They couldn’t sell the bicycles, so they buried some of them in a landfill, and finally somebody had the grand idea of shipping them off to a developing country in the Caribbean. That didn’t work out well either because in the tropical heat the plastic was even less rigid [a problem that recalls the “fatal flaw” of rubber prior to Charles Goodyear and vulcanization]. When I think of Sweden and failure the first thing that comes to mind is the Vasa, which, as I’m sure you know, is the Swedish warship that sank just minutes into its maiden voyage on August 10, 1628. I applied for state funding for the museum and one of the comments from the committee that decides on funding was: “Don’t we already have a museum of failure in Sweden?”—[a reference to] the Vasa Museum, which is the number one attraction in Sweden [according to TripAdvisor]. The Museum of Failure has only been open for five days, but it is currently bigger on the Internet than the Vasa Museum. There’s an interesting connection between the Vasa and the Apple Newton, the latter of which we have here at the museum. Stability tests conducted before the Vasa was launched revealed that the ship was unstable. But the King [Gustav II Adolph of Sweden] and Admiral [Fleming] decided to launch it anyway, despite knowing its flaws. The ship barely made it into the harbor before it sank. The Apple Newton was a similar story. The key feature of the Newton was the handwriting recognition but the technology didn’t work. Apple engineers must have known this, but they launched it anyway and the response was brutal. The Simpsons mocked it and the Newton became synonymous with technology that doesn’t work. It’s interesting that in four hundred years we haven’t learned anything. Another common problem is when companies try to extend their brand too far. 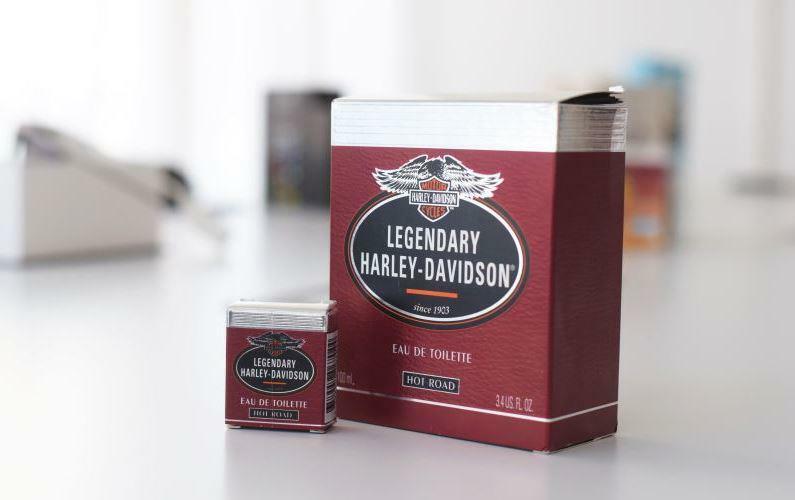 The Harley-Davidson eau de toilette is a good example. The Harley-Davidson cologne is a great example of that. It totally alienated the macho biker fans of Harley. It reminds me of the toothpaste that was created by Swedish weapons manufacturer, Bofors, which was an instant flop. 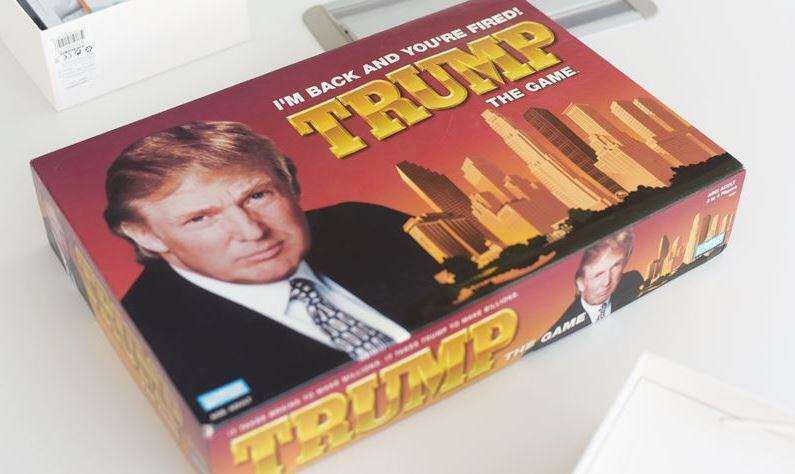 Tell me about “I’m Back and You’re Fired!” Donald Trump board game. The game is vile; it’s got a huge Donald Trump picture on the front, it’s got Donald Trump pictures on the money and on the cards—everywhere. We tried to play it the other day and it’s impossibly dull. I could probably open an entire museum with all of Donald Trump’s failures. It’s interesting because Trump is a failure on so many levels, but still the president of the United States. [I guess it shows] that failures are not held against you; you can fail a lot—and in his case, catastrophically—and still be a success. So maybe—as long as nobody dies—failure is not that big of a deal, we just need to accept it better. What do you want visitors to take away from a visit to the Museum of Failure? The take home message for individuals and organizations alike is that we need to accept failure as an essential aspect of progress and innovation. Second, we need to be better at learning from failure, instead of sweeping things under the carpet and disassociating ourselves from failures. Very few companies and organizations learn from their mistakes. Third, when you see that multinational companies like Google and Apple fail when they try something new, that liberates us as individuals to say, “It’s okay for me to fail.” If you try something new you are going to fail; accept failure and don’t stigmatize it. The Dull Men’s Club—Certifiably and reliably dull, its members celebrate the ordinary and unremarkable. 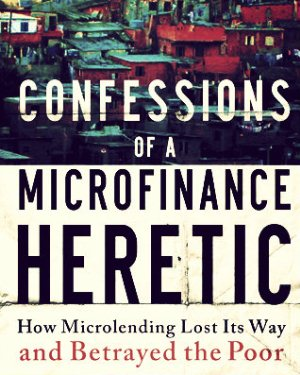 The Myths of Microfinance—Examining the dark side of a feel-good industry.